Note: Portions of this post were published earlier on the united4design blog under the title "The Western vs. the Local Architect in Developing Countries"
Living and working in West Africa roughly half the year, I have learned many lessons about practicing remotely and practicing in a "developing" country. For the past three years I have been going back and forth as projects demand, overseeing construction and touching base with clients. 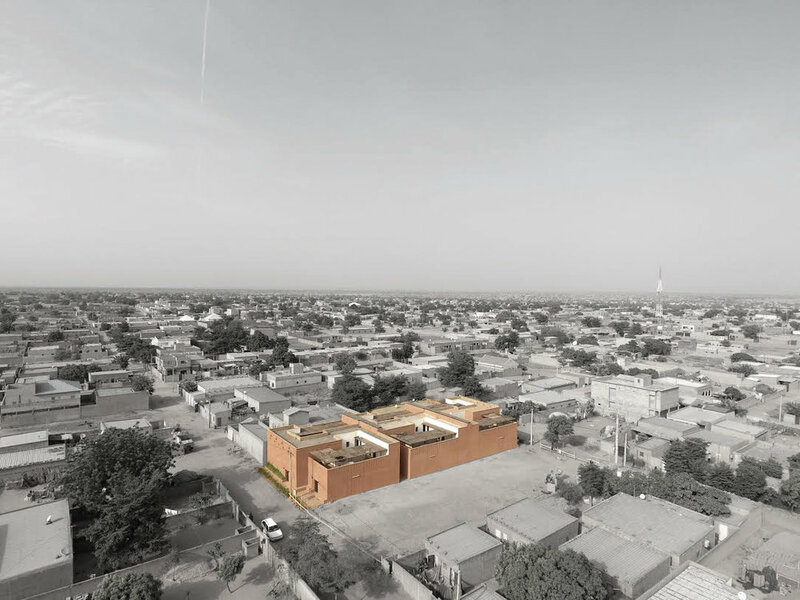 In case the articles in this blog haven't been clear enough, we are very much committed to re-thinking the way architecture is viewed and conceptualized in the African urban context. Because many of our current cities are a product of colonization, they are often ill-fitted to our local context. The materials are usually expensive (concrete and steel) and quite frankly inappropriate for many countries (do you have any idea how hot a cement house gets on one of Niger's 45degrees Celsius days???). More than that, our standard reflex has been to copy what is done in the West as examples of what contemporary architecture should be. This is not to say that there is anything wrong with Western architecture obviously. It is fantastic! But does it work for us? Can't we create something equally fantastic that is affordable, adapted and, well, "us"? 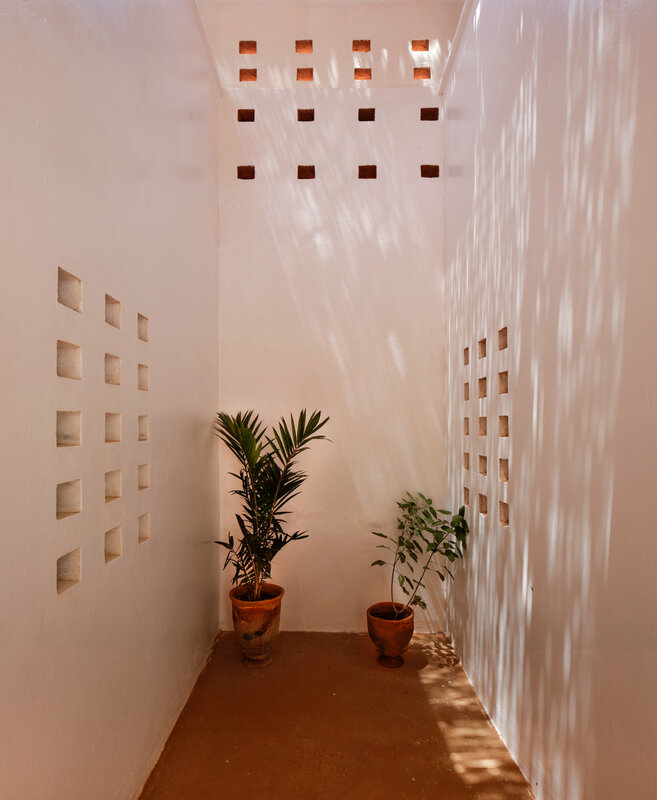 Upon arrival in Niamey, I showed many people our housing design and got fairly positive and enthusiastic responses to the design overall, though many commented that using earth blocks automatically means that these homes are for a lower socio-economic class (more on this in a future post). I then went on to show it to a prospective construction company in order for them to submit a bid, but their reaction was a very lukewarm. They questioned the intent of the project, particularly the fact that it intended to use earth bricks for 2-story buildings. They strongly suggested we use concrete as that would make more “sense” and would be safer. The conversation however, took a sharp turn when they asked more questions about the team working on the project and found out there was an American and a German on the team! All of a sudden, the project seemed reasonable and “good” and they mentioned that using earth was very interesting and a good way to give more local masons jobs! (Where is an emoji when I need one?!) They promptly promised to try to put together a quote for the project even though it was apparent they had never worked with earth blocks before. We didn't hire this company to build the project, but that encounter opened my eyes. As far as I could tell, in the above anecdote, the only thing that changed over the course of the conversation what that all of a sudden the project had a “foreign” hand in it and ceased to be “unreasonable” for that reason alone. If that is indeed what happened, it is of course a bit alarming. What if this were actually a non-sensical irresponsible project? Would it have gotten thumbs up with people jumping through hoops to help it become a reality? Could it be that foreigners, particularly westerners, are listened to more when they arrive in developing countries? Maybe they have a certain “caché” that puts them automatically in a position of being looked up to and listened to more? These are critical questions in an age where many western, particularly European architects are developing more and more projects in the Middle-East, the Asian or African continents. Clients might actually be more responsive to them than to local architects, regardless of skill level. I have heard many anecdotes of the latter trying to introduce new concepts (or revisit traditional ones) without basing themselves on Western precedents in terms of building practice, design, sustainability, etc. They are promptly labelled “dreamers”, “impractical”, “elitists”, “disconnected from local realities”, which is of course profoundly ironic. But when a "first world" architect comes in with similar ideas, people were more likely to feel grateful, enlightened, and show a stronger eagerness to try these ideas out. There are many reasons why this may be true, ranging from a cultural dominance of Western ideals and esthetics that makes many in non-western countries aspire to having the same, to a subconscious feeling that the West holds the monopoly on knowledge and know-how. An though I won’t pretend to know all the workings behind the what/how/who of this issue, I was nevertheless conforted in my suspicion when the project was completed and we held a very successful open house for it. A gentlemen walked in one of the houses and asked "wow, this is cool! Was it built by an NGO?" I had to laugh. 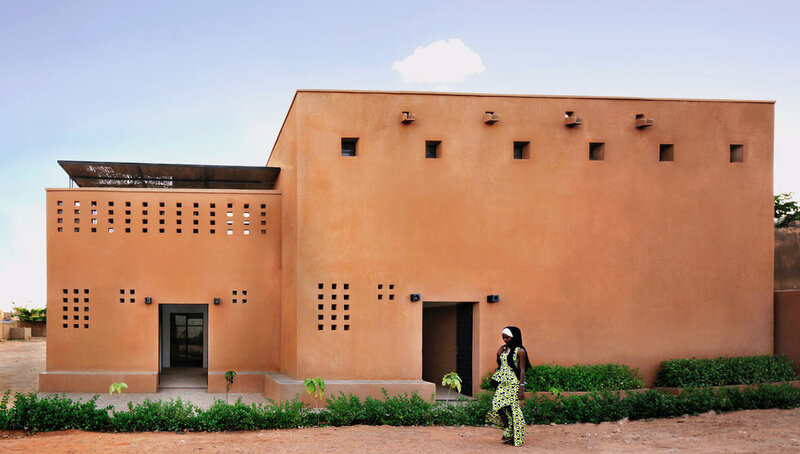 It appeared that the challenge of being an African architect in Africa, is that we are expected to provide people with very good Western imitation houses/offices/schools, etc. When we try to be more contextual, as we should, we are either turned down, or it is believed that the whole thing must have had a "first world" hand in it. This is also a cautionary tale for western architects working in a developing region. They might encounter very little, if any, resistance to their designs and project proposals, even when they are quite bad, or inappropriate, or frankly quite silly. A project might appear to have wide-ranging support and community buy-in when it is actually impractical and culturally disconnected. It might be hard to gage reactions properly, as too often the reaction is that if something came from a western mind, it must be good/better. This can easily result in projects being built and remaining un-used or abandoned by their intended beneficiaries when the designer has gone back, which has happened many times already. How then, as African architects, can we convince people on the ground that we mean business, that we are just as competent, and that we can provide real solutions to local problems? That the answers lie within ourselves, not in the mind of someone else who knows little to nothing about us? I have yet to find the answer, but we can at least start openly talking about the problem. NM2000 Housing project in collaboration with united4design.